Travelling Turtle is a travel bug from New Zealand. His stated goal is to visit as many countries as he can. I plucked him out of a geocache, conveyed him 1400mi across the US, and placed him not too far from home. He's since been snatched up and is heading north. 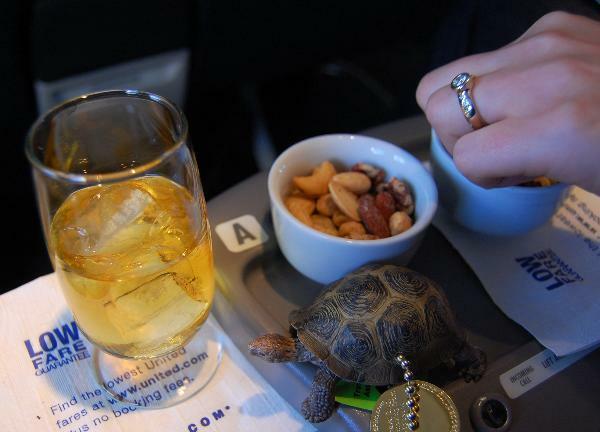 Here, he's enjoying some warmed nuts and a Glenlivet on his way westwards. I see the ring has been restored to its rightful digit! Indeed! Funny how it managed to sneak into the picture like that.